WISMEC WM Coil Head is designed for Gnome Tank. 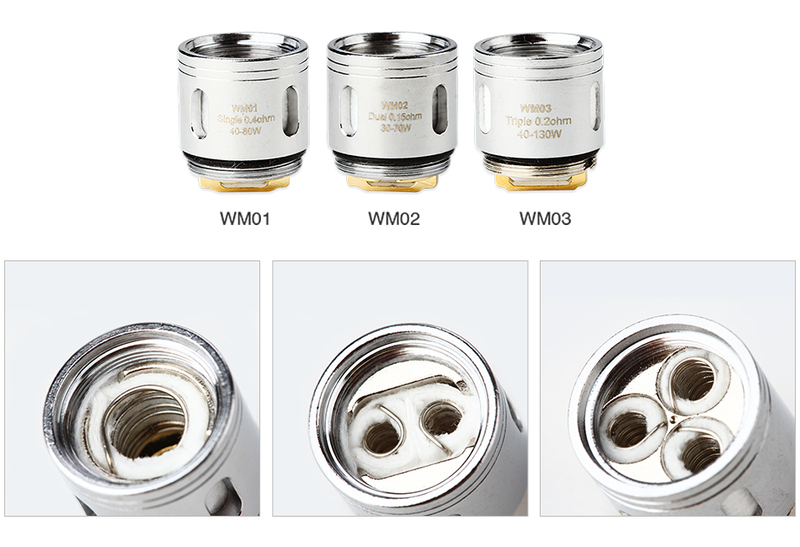 0.4ohm WM01, 0.15ohm WM02, and 0.2ohm WM03, 0.15ohm WM-M coil Heads for your option. 5pcs each pack. Get them for your Gnome! Here comes the WISMEC WM Coil Head! It is designed ideally for the Gnome atomizer. 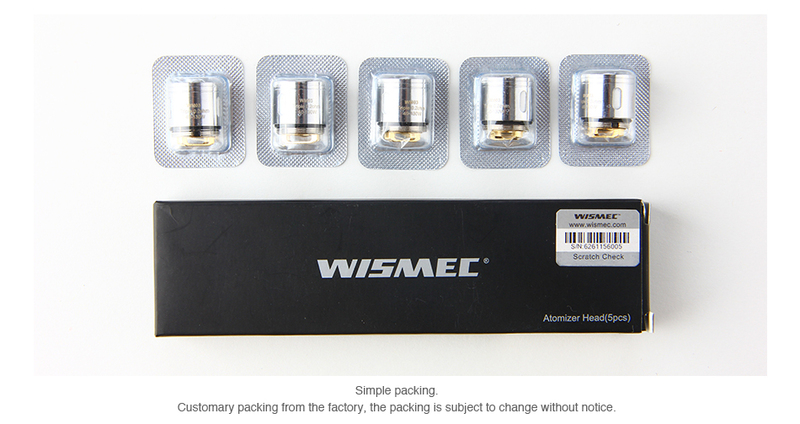 The WM01 Single 0.4ohm head supports 40-80W wattage and is best for 55-65W. WM02 Dual 0.15ohm head supports 30-70W wattage and is best for 45-60W. WM03 Triple 0.2ohm head supports 40-130W wattage and is best for 70-90W. WM-M 0.15ohm head supports 40-100W wattage and is best for 65-70W.The different coil heads bring different vaping experiences and will suit certain vapers more than others, but all will give you an amazing vaping experience with huge vapor and optimal flavor! It is compatible with Gnome tank.